10 snowman jokes for kids. 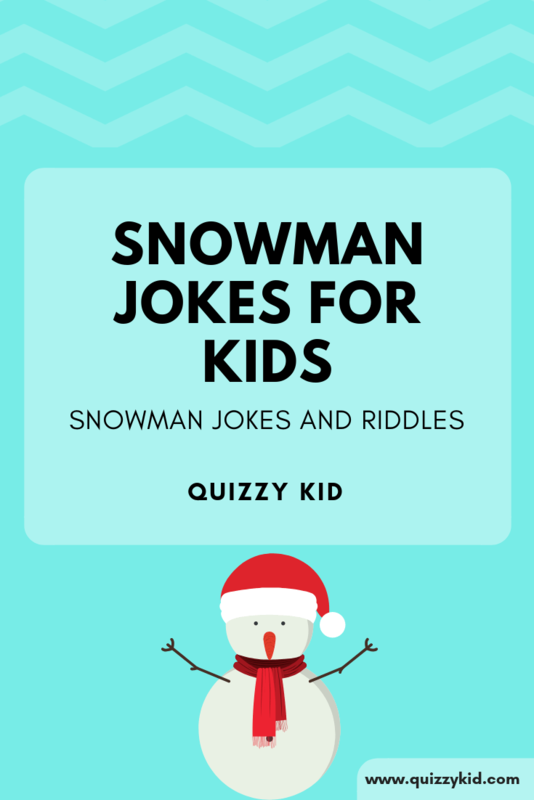 Try out our snowman riddles for some family-friendly fun this Winter. If you enjoyed these then check out our Elf Jokes and Reindeer Jokes. Q1. What do you call an old snowman? Q2. What do you call a snowman party? Q3. What is a snowman's favorite Mexican food? Q4. What do you get when you cross a snowman with a vampire? Q5. How does Frosty the Snowman get around? Q6. What does Frosty the Snowman drink to stay warm? Q7. What did the snowman call his cow? Q8. Where do snowmen get the weather report? Q9. What did one snowman say to the other? Q10. What do you say to a stressed snowman?